Find a Apartment for rent in Waterloo. Waterloo Apartment rentals! If you are looking to experience a lifestyle change, move into an Apartment rental in Waterloo Ontario. You will find that this city has so much to offer. Located in Southern Ontario, this city is home to top Universities, job opportunities and nature settings. You will find a fantastic Apartment for rent with the aid of Renter's Hotline wherever you are looking to set up your new home. With the multitude of listings that we have on our site there is no shortage of options. 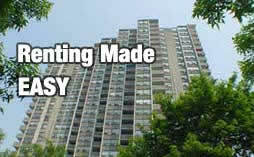 We can match you with the best Apartment rental in town that will meet your specifications. If you would like to live near exciting outdoor festivals such as the Waterloo Arts Festival we can find you an Apartment near the Uptown core. Waterloo is also close quaint cities such as Saint Jacobs, Elmira and Elora. You will discover that there is much to explore, experience and attend while living in your Waterloo Apartment rental. Rent an Apartment today with Renter's Hotline and start living your dream life in the unbelievable city of Waterloo.